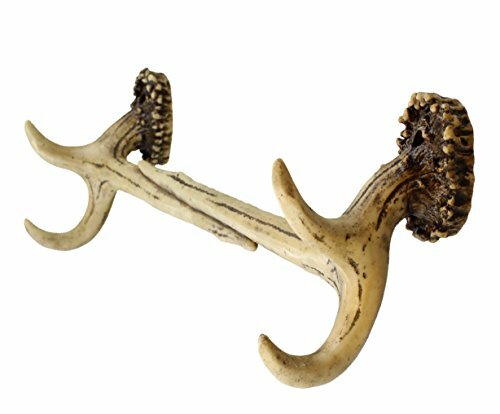 Extremely reasonable 22\" general length Antler towel bar. 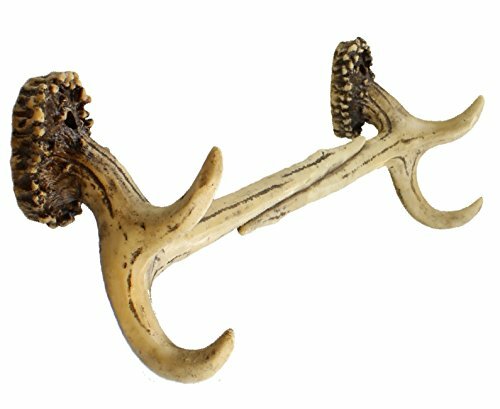 Best for any room in the home or cabin Produced from difficult, sturdy cold-cast poly resin material. Two wood screws included for mounting into wood. You will require alternate fasteners for sheetrock or brick. Thick, hefty building. Usable towel room is approximately 18\". The tines on every finish are wonderful for hanging items The mounting holes are 20\" apart for safe stud mounting exactly where possible. 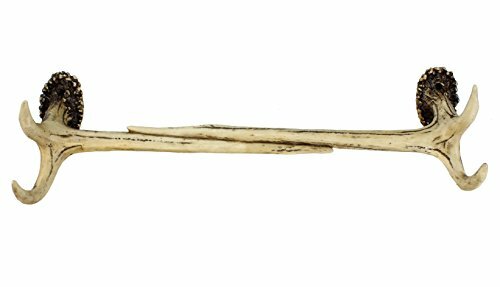 Tines on ends are great for hanging items!